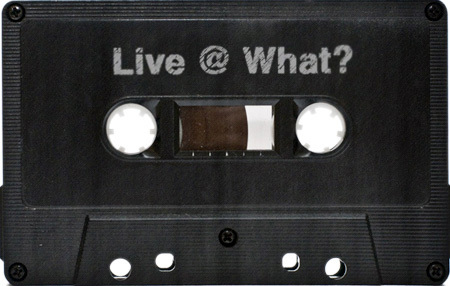 Once again back here’s the incredible… Another “Live At What?” mix, this time courtesy of DJ Mojo, who’s been a big supporter of the site (Thank You!). 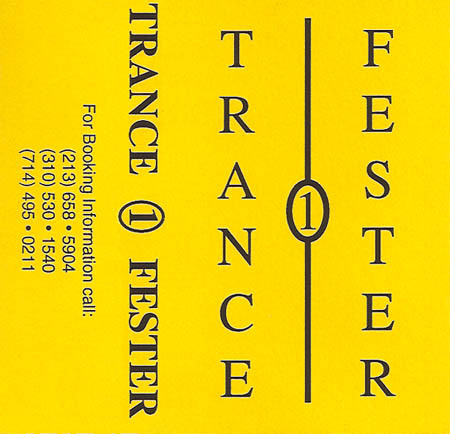 I’m pretty sure Side E starts off with DJ Trance, but let me know if you know the correct DJ’s on these mixes. 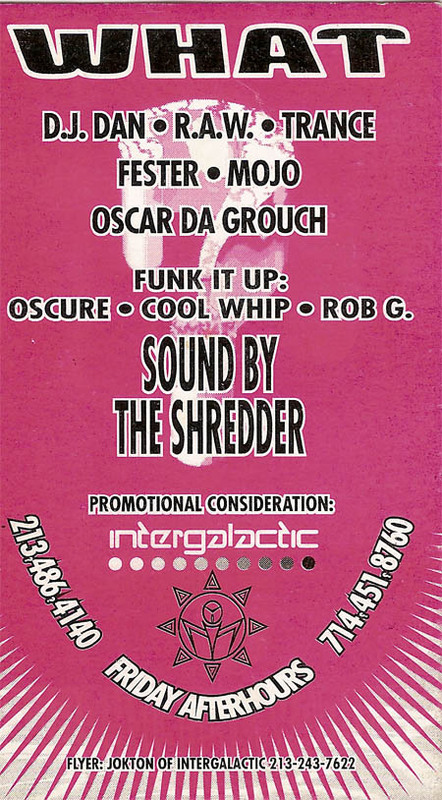 DJ Mellinfunk & Oscar Da Grouch – Live At What? 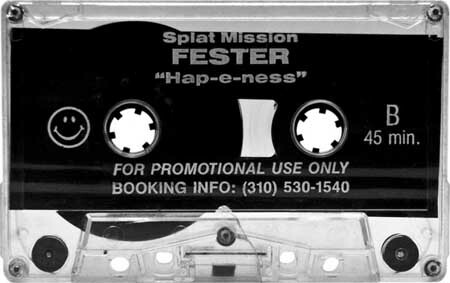 It’s been 16 years to the day, but not the hour (it’s not that late yet), since this mixed tape was recorded. 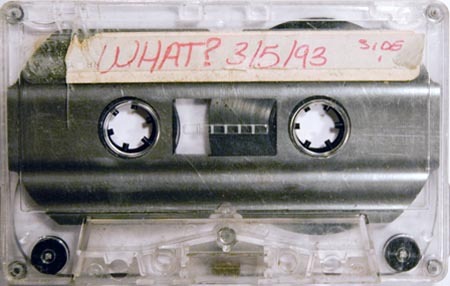 These mixes were recorded at the legendary Los Angeles after-hours What? on Friday, March 5th 1993. 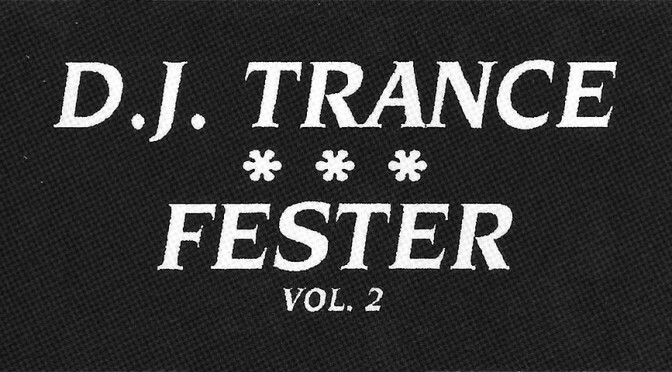 I’m not positive, but I believe the recordings are of DJ Trance (side a) and Oscar Da Grouch (side b). If anyone has a better memory than I do, please feel free to correct my assumptions. 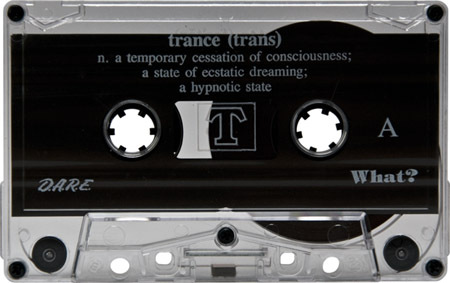 Regardless of the DJ’s there’s some great oldschool techno on this tape. Edit: Updated post to correct DJ credits after receiving confirmations. Thanks!